With the weather getting cooler outside it’s about time to get your furnace checked. The colder air moving in means less using your Air Conditioner and the likelihood that your heat will soon be turned on if it hasn’t already. You’re probably not thinking about furnace repair in Buckhead right now. But in the warm months of the summer you’ve not given much thought to your furnace, why would you? It’s not cold out. However, as a homeowner, you’ve got to make sure that you keep all appliances in working order, just like changing the oil in your car or truck. Maintenance for the working parts in your home is essential to minimal electric and gas bills. That’s where the expert team of HVAC specialists from Cool Masters comes in. The best time to get your furnace inspected and/or tuned-up is BEFORE you need it. In October and November you may be able to go a day or two without the use of your HVAC. But that all changes in January when it’s 14 degrees out and the chance of precipitation is high. Get your furnace checked before the frozen tundra arrives and you’re left stranded with a motherboard that has shorted out or a pilot that doesn’t light. The time you spend on it now can save you countless hours of freezing cold misery in the harsh winter months. There’s a chance that the call you make now can allow you to avoid a completely new furnace altogether. 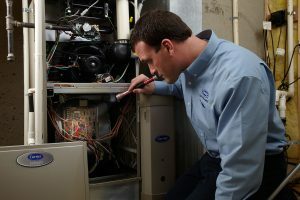 Cool Masters has the experienced Buckhead furnace technicians you need to keep your equipment running without a hitch during the unpredictable winters that we have experienced in the last decade. Whether you just want a checkup or you need to replace your entire heating system, Cool Masters will be there to walk you through the process and you can always count on them to be upfront and honest with you. There will be no overcharging or mysterious add-on fees for anything. Our techs come on time, professionally dressed and will display the kind of manners you deserve from your contractors. If you’re wondering whether or not your furnace will survive this coming winter, give the Buckhead furnace repair at Cool Masters a call. They’ll be happy to aanswer any questions that you might have and you may possibly learn something in the process. Just click the button on the right side of this page to schedule an appointment today!